Premium quality sculpted ceramic 20 oz. mug. 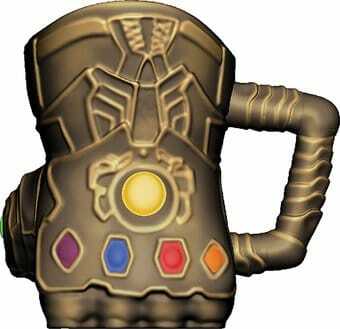 Join the Dark Lord, the Mad Titan, in his quest for infinity stones and a damn good cup of joe. This beguiling mug is custom sculpted and beautifully crafted to make it one of a kind. Microwave safe, hand wash recommended. Ships in a full Color gift box. 5.5 x 4.5 x 4 inches. Holds 20 oz. strong.